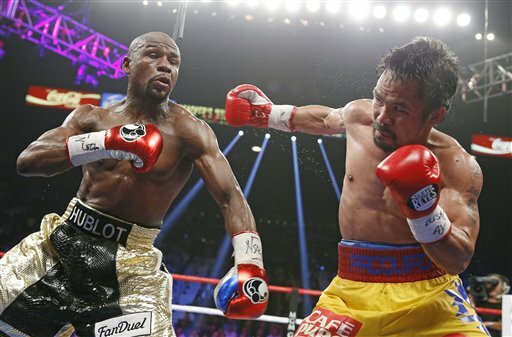 (Telegraph) – Manny Pacquiao faces potential prosecution for perjury after it emerged that he failed to disclose a shoulder injury ahead of the ‘Fight of the Century’ with Floyd Mayweather. In the pre-fight medical questionnaire, Pacquiao answered ‘no’ to the question about whether he had suffered any shoulder injuries. But after the fight in Las Vegas, the Pacquiao camp complained of a shoulder injury inhibiting the Filipino fighter and it was confirmed on Monday that he will undergo surgery for a damaged rotator cuff. And now according to reports in the US, the non-disclosure has sparked an investigation by the Nevada authorities – since by signing the document, both Pacquiao and his adviser Michael Koncz “hereby swear under penalty of perjury, that the above information is true and correct to the best of my knowledge”.